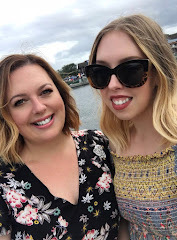 As we are such big fans of Anastasia Beverley Hills brow products we were so excited to find these dupes from Freedom in a local Superdrug store! Mimi is addicted to the Anastacia Brow Wiz however I have recently been using a brow kit from Collection that comes with 3 brow powders and a clear brow gel. 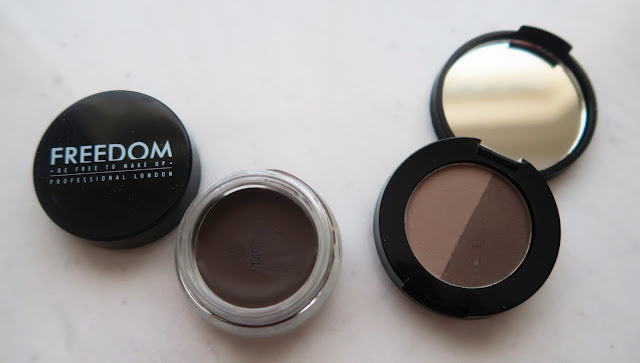 I have never used a brow pomade product so I was very interested to use the Freedom Brow Pomade which I picked up in meduim brown and see if it was worth switching. I also wanted to compare the Freedom Duo Eyebrow Powder in Soft Brown to my trusty Collection brow powder so here goes! My first impression of the pomade was, wow this is really dark for medium brown! The pomade comes in a glass jar with a secure screw-on lid very similar to the Anastacia Dip Brow packaging. I used an angled brush and picked up the tiniest amount of product before wiping the excess off in the lid. When I applied the product it was very very pigmented and creamy! On reflection I do wish I had picked up a lighter shade, possibly soft brown, as this is a little too dark for me. However at £5.00 it is certainly an excellent dupe for the much more expensive Anastacia Brow Pomade! As it comes in over 10 shades it shouldn't be too difficult to find a shade that will suit everyone! 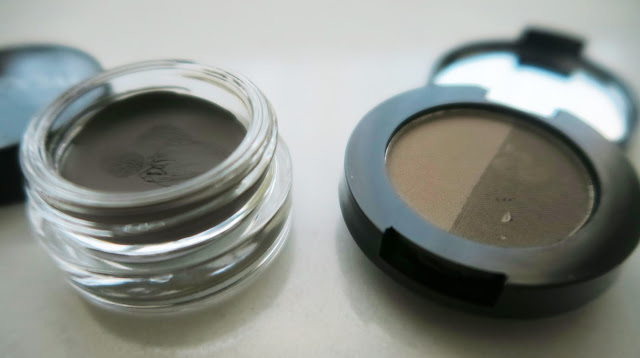 The brow powder comes in a split pan with a small mirror and has a light and dark shade. I always apply with an angled brush and apply the darker shade on the outer brow and mix the two for the inner brow and it is the perfect shade for me. I then set my brows in place with a brow gel and voila, there they stay for the remainder of the day! Now that I have discovered the Freedom brow powder I am no longer reaching for my trusty Collection set and as the Freedom product packaging is so much smaller it will be fantastic to travel with. Have you tried any of the Freedom brow products? What are your thoughts? Cutting Long Hair - Taking The Plunge!